As you can see from the photo, when it comes to charm bracelets I don't like to stint on the beads or charms!!! This bracelet is jam packed with a bead or charm on each link. Brighten up a chilly winter day with this vibrant bracelet. 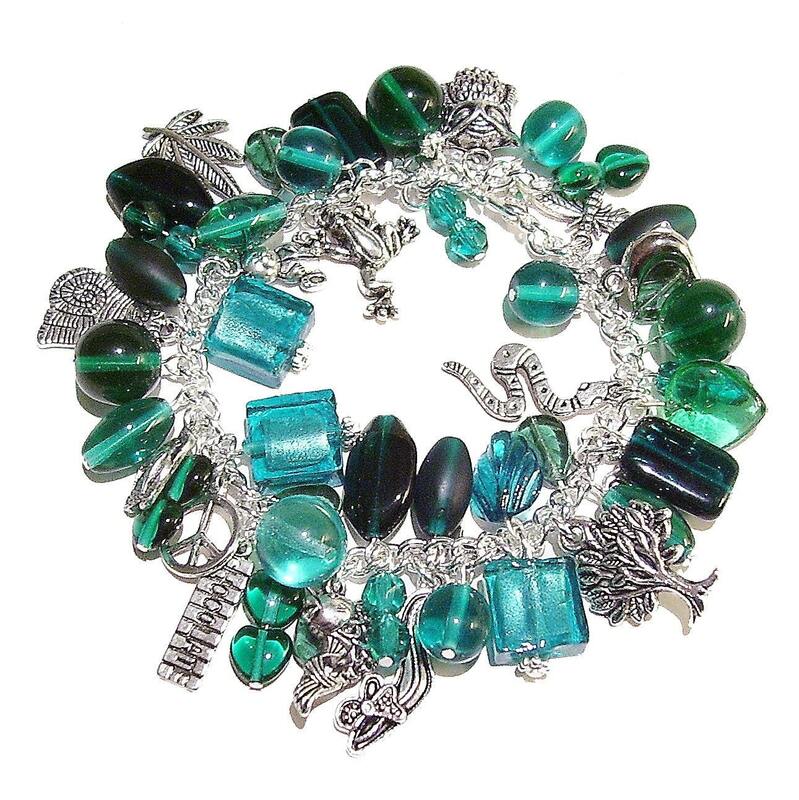 This bracelet is handmade from silver plated curb chain, Tibetan silver charms and glass beads. It has a silver plated trigger clasp which can be attached anywhere along the bracelet. Folksy :: "Seaside Charm bracelet sterling silver green pearls"
Folksy :: Buy "GORGEOUS PINK AND GREEN CHARM BRACELET"
Folksy :: Buy "Teal Green Glass Bead Bracelet"